• How did you get into being a Classical Musician? My mother noticed that I had musical abilities when I was just two years old and I could sing the theme song of Sesame Street perfectly in tune! We got an upright piano when I was seven, and I taught myself how to play and to read music. When I was nine, my best friend from across the street brought over her violin and I gave it a go. From that point, I never looked back! I had private lessons in violin, and I went to University to major in music (violin performance). I’ve been a freelance musician and violin teacher since graduating from University. It’s a part of my DNA! I enjoy what I do because playing the violin connects me with the best part of myself. I also love connecting with others through my playing. This is the greatest reward, knowing that my playing is having an effect on people. Making music nourishes my soul. • What are the biggest myths about Classical Music at weddings? 1) Classical Music is elitist and irrelevant. Sadly, classical music is not regularly being taught or promoted in schools and has been subverted again and again by sports. And classical concert audiences are still mostly made up of seniors. 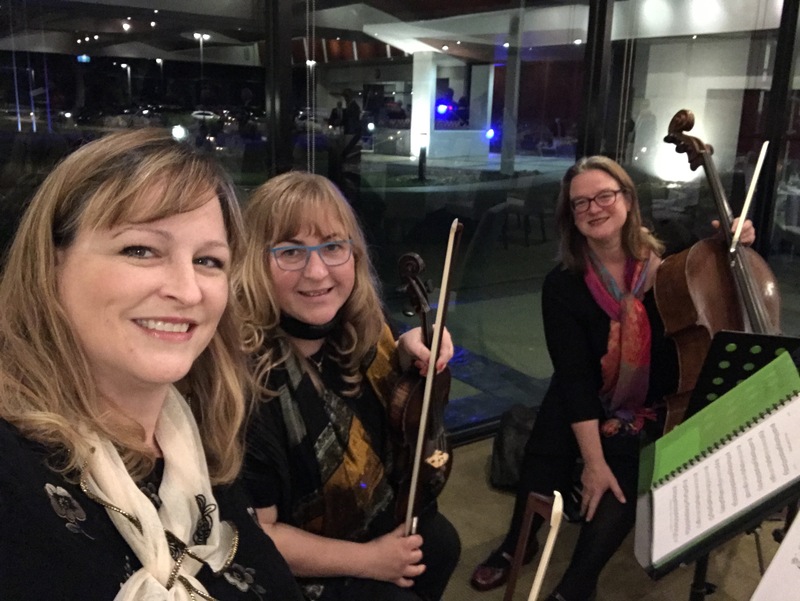 But most classical music organisations go to great lengths to make their programs accessible to everyone, and strongly encourage younger audiences to attend. Classical music is the result of musical geniuses from the past 300 years having put their brains, hearts and souls down on staff paper for the whole world to experience. It is the foundation of all music that is still being created today, and is far from irrelevant! 2) Classical Musicians are too expensive. When you pay for classical musicians to play for your wedding, you are getting musicians with decades of training and experience, playing on very precious instruments that have to be maintained, and playing at the highest calibre of professionalism. Having this kind of quality is more than worth the price. Also, we at Operatic Strings try to keep our prices reasonable for the everyday client. In the lead up to a wedding, what have you noticed your clients doing that ensures a great wedding experience? I’ve noticed that the clients who take the time to listen to the music from our repertoire list (via YouTube or Spotify, etc.) are able to make very informed decisions on what they would like to hear during the special moments of the wedding ceremony, like the processional, the signing of the register, and the exit music. Sometimes clients know that they want to hear a popular song without looking at the rest of the repertoire, but others are just not sure. We are also more than happy to make suggestions on different pieces that go well during the ceremony. I think people will be using live music for their wedding ceremonies more and more vs playing tunes from their devices. Or at least I hope so! Live music is palpable, it creates an atmosphere, it draws in the listener, it makes memories. Contact Bernadette via email at operaticstrings@gmail.com, or via phone at 0400 060 290. Our website is www.operaticstrings.com.au.